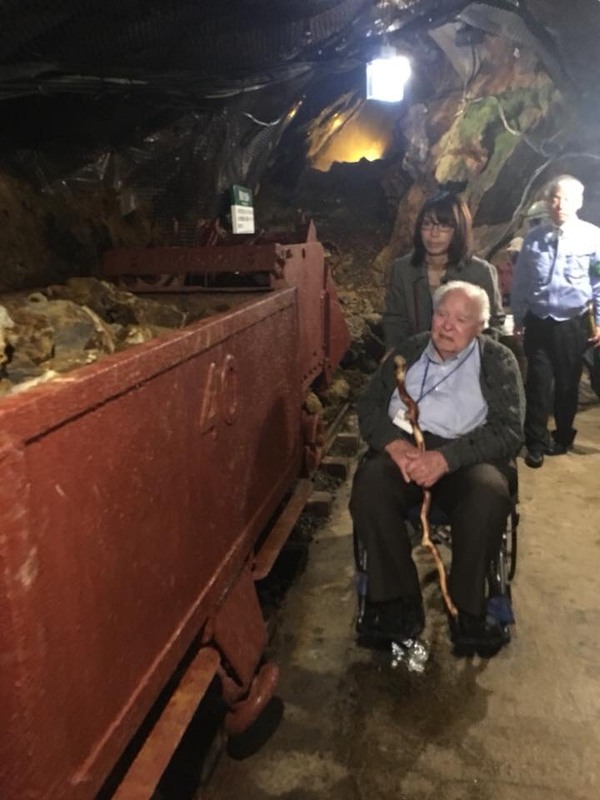 At the entrance of the defunct lead and zinc mine in Kurihara, Miyagi Prefecture, earlier in October, American Henry Chamberlain, 95, had to lean on his cane to ease the fatigue linked to the beatings he received from Japanese soldiers during World War II. In the months after Japan’s attack on Pearl Harbor on Dec. 7, 1941, besieged Allied forces stationed in the Philippines surrendered. Among them was Chamberlain, who was captured by the Imperial Japanese Army and held as a prisoner of war for 3½ years. For nearly a year until September 1945 he was a forced laborer at the Hosokura mine owned by Mitsubishi Mining Co., the predecessor of today’s Mitsubishi Materials Corp.
His October visit was part of a Japan-POW reconciliation program run since 2010 that enables former American soldiers to explore their past and see for themselves how their legacy contributed to the situation in Japan and today’s peace. “I come back here today and I am surprised how this country has grown. This country has done well and I’m happy for the people,” Chamberlain told The Japan Times in a recent interview in Tokyo, following his visit to the mine, which closed in 1987. He hopes his visit to the site will help him cope with the haunting memories of being a POW of Japan and that his life lesson will serve as a call to step up efforts to achieve international peace. Chamberlain is the only living U.S. POW who took part in the 10-day trip, as a guest of the Japanese government, along with surviving relatives of six other POWs who served in the U.S. Army, Navy and Army Air Corps. 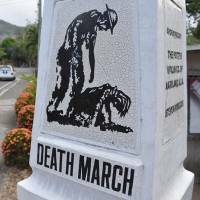 According to POW Research Network Japan, a nationwide civic group dedicated to research on facts concerning the POWs of Japan, Japan captured some 350,000 Allied soldiers in areas it conquered in Southeast Asia and the Western Pacific. About 250 American and 50 British POWs are believed have been forced to work at the Hosokura mine. “I hated that place … but I’m glad I went,” Chamberlain said of his first visit to the mine since the end of the war. 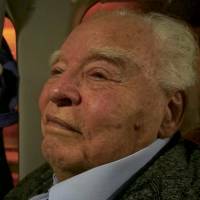 He admitted he had been a casual observer of the battles raging in Europe and was not prepared for the fate that befell him when the U.S. entered the war after Japan’s surprise attack. 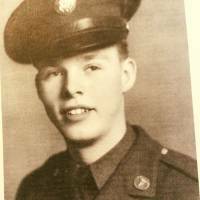 Chamberlain celebrated his 18th birthday on the day he enlisted in the U.S. Army in 1939, building his hopes on professional training and experience, and the money needed to make a living. He was stationed on the Bataan Peninsula on Luzon when the U.S. surrendered the peninsula to Japanese forces with the end of the Battle of Bataan on April 9, 1942. He was working as a surgical technician at Bataan’s largest hospital with some 20,000 patients, and was on duty when the Japanese army invaded the area. The Japanese soldiers transported him first to the famed old Bilibid Prison in Manila and later moved him to a POW camp near the city of Cabanatuan, where he spent over two years working as a medic and doing agricultural work. Chamberlain recalled he was suffering from starvation, malaria and dysentery, an inflammation of the intestines causing severe diarrhea with blood. On his way to Japan via Formosa, today’s Taiwan, Chamberlain was loaded atop coal and horse manure on a Japanese ship. While hundreds perished, Chamberlain was among the survivors moved to other POW camps to be later transferred to the Miyagi mine. Fed one rice ball per day, Chamberlain worked even 14 hours a day, assigned with scooping out the minerals, loading them onto cars and pushing the cars up toward the guards. He would drink water dripping down the walls of the mine, which contained high levels of lead and zinc compounds. He lived in fear of the guards and airstrikes by Americans unaware their compatriots were being held among the targets below. “I received shooting from the Japanese, bombing from the Japanese, shelling from the Japanese … I received shooting, machine-gunning, bombing, artillery fire from Americans,” he said. He shed tears when he spoke of holding his dying friend in his arms. “Sometimes my stomach is upset because I think of it. Anniversary days, when these things happened, it automatically comes to me … you feel like your heart hurts,” he said tearfully. Families of other former POWs have also witnessed their husbands’ and fathers’ guilt over the loss of fellow soldiers, the feeling of failure, lack of purpose and structure, and their struggles to pick up the pieces of their shattered lives, often in a blur of alcohol. Among the participants in the October reconciliation visit was Shirley Steele, 92, the widow of Ben Steele, a Montana artist and a survivor of the Bataan Death March that claimed the lives of thousands of Americans and Filipinos. They were forced to march about 65 miles (100 km) without water, food or rest, to an internment camp. 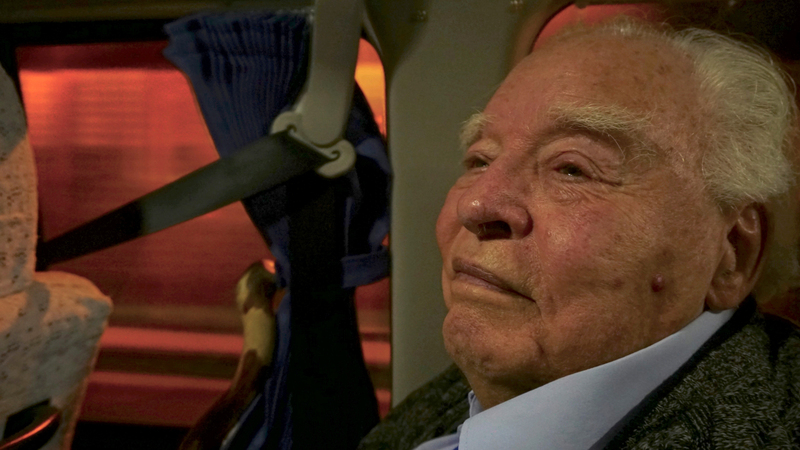 Steele, who depicted the ordeal through art, passed away at 98 in September 2016. John Whitehurst, 76, never met his father, Collin, whose death was honored during the visit. Nor did Joseph Brown, 75, son of Charles Brown. Their fathers are believed have perished aboard the Arisan Maru, one of the Japanese ships in a convoy transporting POWs that was torpedoed and sunk by the U.S. while en route from Manila to Japan. According to POW Research Network Japan, about 36,000 Allied POWs were imprisoned in camps located mainly in industrial areas. Thousands are believed to have died in those camps or during transport. 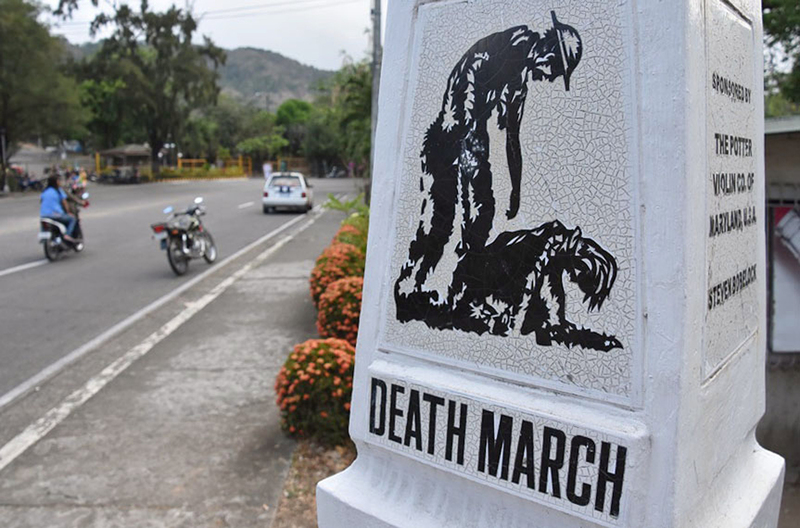 Mary Jane Blaine, daughter of John McCorts and a member of veterans’ and descendants’ group the American Defenders of Bataan and Corregidor Memorial Society, believes the reconciliation program helps POWs bring a sense of closure to what they went through. 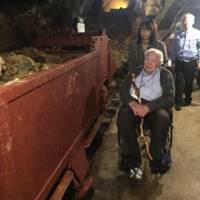 She visited the former Kosaka mine, where her father was held. In the 1940s it was considered Japan’s largest precious metals and copper smelter. Located in the town of Kosaka, Akita Prefecture, it is also the birthplace of Dowa Holdings Co.
McCorts was captured while repairing wires in a tunnel complex on Corregidor Island in Manila Bay, where he was in signals intelligence. After being moved to Japan, he initially worked at a Yokohama shipyard owned by Mitsubishi Heavy Industries Ltd. He lost his hearing while in captivity. But questions linger over whether the U.S. and Japanese reconciliation efforts are sufficient to soothe relations between the former enemies. “As the years go by, the apology is less of an issue and we’re all working together” to reconcile, Caroline Burkhart, a researcher affiliated with the American Defenders of Bataan and Corregidor Memorial Society, said in Tokyo. Burkhart is the daughter of the late Thomas Burkhart, who was held in several POW camps, including an Osaka camp where he worked on a breakwater and a submarine base for the predecessor of today’s construction firm Tobishima Corp.
She recalled POWs’ longtime efforts to win an apology and compensation from the Japanese government in the early 2000s that were rejected in line with the 1951 Peace Treaty between the U.S. and Japan that prohibits lawsuits for redress. She said that both countries have since observed significant turning points, including former Japanese Ambassador to Washington Ichiro Fujisaki’s apology at the veterans group’s 2009 convention in Texas. “We extend a heartfelt apology for our country having caused tremendous damage and suffering to many people, including prisoners of war, those who have undergone tragic experiences in the Bataan Peninsula and Corregidor Island,” Fujisaki said. Burkhart called the reconciliation an ongoing process and pointed out that more efforts should be done in both countries to educate youth on that chapter in history. “Those who don’t learn history are doomed to repeat it,” she said. The company offered a “most remorseful apology” to the roughly 900 POWs who suffered “harsh, severe hardships” while forced to work in Mitsubishi mines and industrial plants. 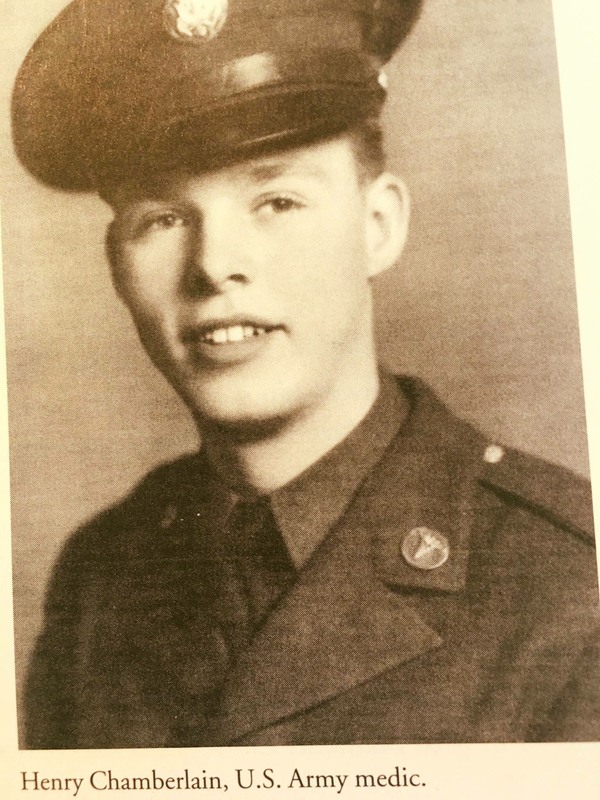 “War is hell,” said Chamberlain, who stayed in the army and later served in the U.S. Air Force. He worked as a paramedic and in health care administration, having gained a bachelor’s degree in health science. The father of one son and six daughters survived his wife, Dorothy, whom he met in the army and married in 1947. He now lives in Washington, still trying to deal with post-traumatic stress disorder and other health issues. He said he was bothered by international conflicts in today’s world and U.S. President Donald Trump’s fueling tensions with North Korea.